I have heard it said by many that conservation is not a hobby or something people take lightly. Rather, conservation is a way of life. A passion. I could not agree more with these statements. Over the years it has become very clear to me that conservation is something Dylan is very passionate about. While my viewpoints are obviously shared and discussed with him, he makes his own decisions about where he will focus his conservation efforts and ultimately his fundraising. In the past, the choice was not always an easy one to make, but it was fairly cut and dry with large goals of $1,000. 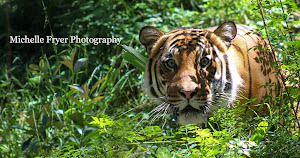 Tigers, then leopards, then rhinos. As soon as one project was completed, he was ready to move on to the next. Throw in the occasional symbolic animal adoption and that was our life. 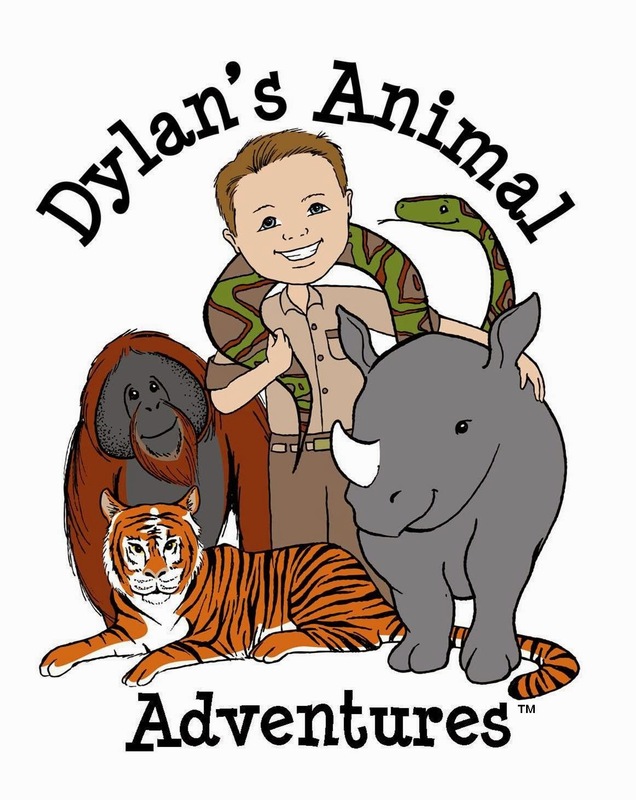 As Dylan continues to grow, so do his dreams of saving endangered species and changing the world. One project at a time just won't do anymore. 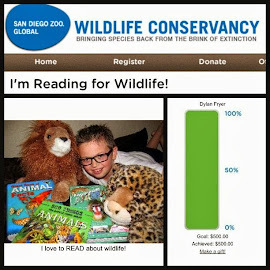 There are too many endangered species out there that Dylan wants to help. We needed to come up with a plan, so over summer vacation we brainstormed. We listed all the programs that we wanted to support in the next year or two and started coming up with ideas. Ideas of how we could raise the money without asking friends and family for donations. Dylan thought it would be good to sell something instead of only asking for money. I agreed. When creativity and conservation come together you get Creations4Wildlife. 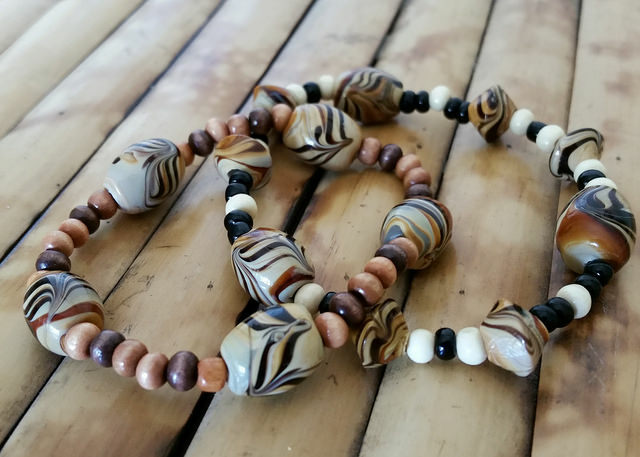 Inspired by the endangered species that we want to help save, we have designed several bracelets that we are selling as a way to raise funds to support our conservation efforts. Each piece of the collection is handcrafted by me and Dylan and the profits will be donated to the designated non-profit organization. 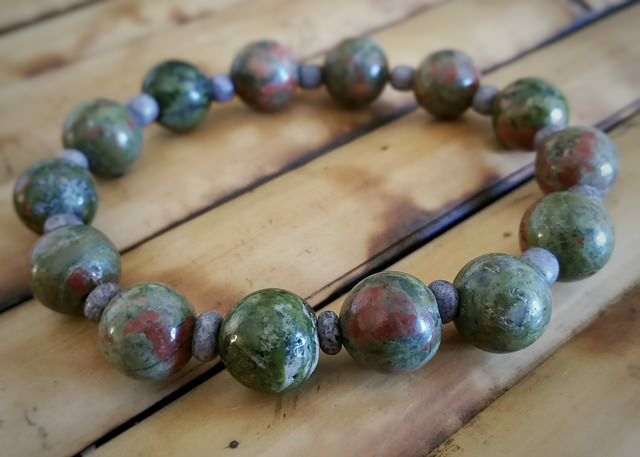 We are currently raising money for the Tiger Conservation Campaign, International Rhino Foundation, Rhino Rescue Center, Giraffe Conservation Foundation, and Red Panda Network. 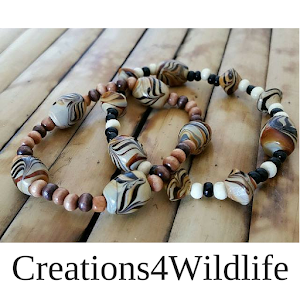 Every purchase gives Hope that these endangered species can be saved. Working together on this new conservation project with Dylan has reminded me how important it is to never lose faith in your beliefs. No matter what the obstacles may be, another poaching story in the news or hearing that there are now only 4 northern white rhinos left, you just keep going. Conservation is a way of life for us and I am confident that we can raise the funds and meet our goals. No question about it, this mother and son team are determined to make a difference for wildlife. Thank you for helping support our conservation efforts! When I think of Africa, the first thing that comes to my mind is the iconic silhouette of a giraffe standing next to an acacia tree. Giraffes are truly symbolic of Africa. They are found no place else on earth, only in Africa. Standing tall with pride, these gentle animals spend their days walking across the plains. The giraffe is an integral part of the African ecosystem and sadly they are disappearing at alarming rates. 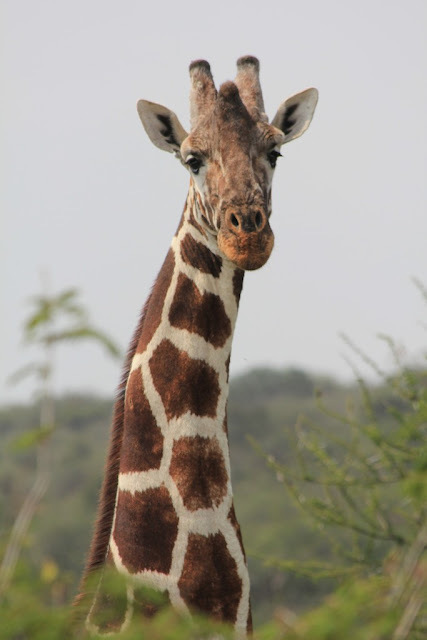 Historically Reticulated giraffes could be seen from north-central Kenya to southern Somalia and Ethiopia. However, this is not what can be seen now. Reticulated giraffes have declined by over 80% in the last 15 years, going from 28,000 to about 4,700 today. That is a drastic decline that if not stopped, could lead to the extinction of these giraffes by 2019. So why are these icons disappearing? Why are more people not talking about this? As with other endangered species, the number one cause of decline is poaching. I could go on for hours about how much I loathe poachers - about how ignorant people are to believe that an animals bones can cure AIDS and cancer - about how inhumane it is to kill an animal and leave them to die a slow and painful death just so they can go home with some sort of trophy ... but I won't. Not now. Habitat loss from development and agriculture, areas that have become uninhabitable because of over-grazing, competition for food and water with newly introduced species of livestock, and the simple fact that we just don't know enough about the iconic animals. We need to understand more about the giraffe and those who share a home with them in Africa so that we can do everything possible to save the giraffe. Last month while attending a Curators Club breakfast in San Diego, Dylan and I listened to a man talk about the plight of the giraffes. 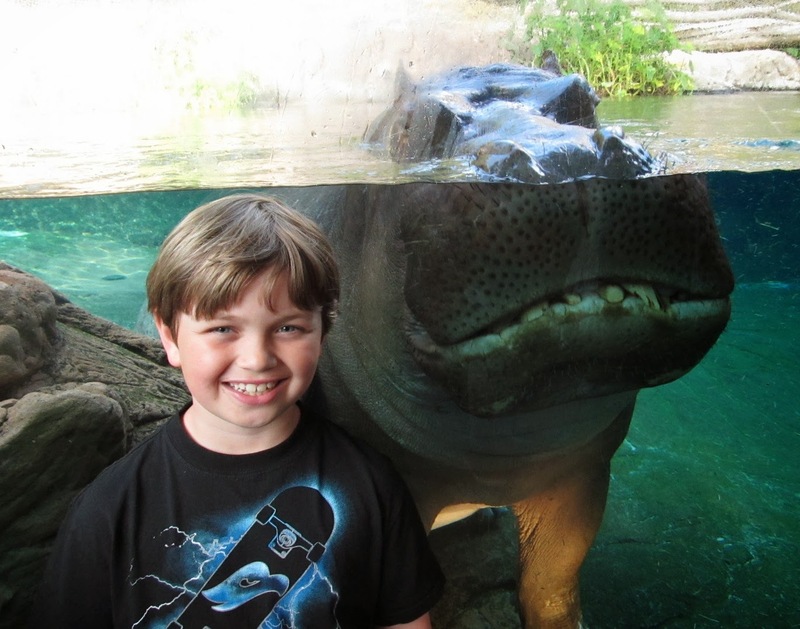 His name is David O'Connor and he is one of the Conservation Research Coordinators at San Diego Zoo Global. I will never forget his words, "There are less Reticulated giraffe than the endangered black rhino. At this rate, these giraffe will be extinct by 2019." What? Was I hearing this right? Why have I not heard about these staggering statistics before? After hearing these words, I looked over at Dylan, His face said it all. We both knew how serious these numbers were since we have been big supporters of the rhino conservation efforts for several years now. Something told me this would be Dylan's next endeavor ... and I was right. After the breakfast Dylan walked up to David and asked how he could help save the giraffes. David told us about his conservation project that was being funded on Crowdrise and how all the money was going directly to help the giraffes in Africa. When we got home Dylan decided he didn't want to just donate to David's team, he wanted to join his team! I helped Dylan set up his page and within a matter of minutes he was part of the team. His goal was $250 by Endangered Species Day. That only gave him 13 days, but he was determined to make it happen. A few tweets and Facebook posts later, Dylan had met his goal. 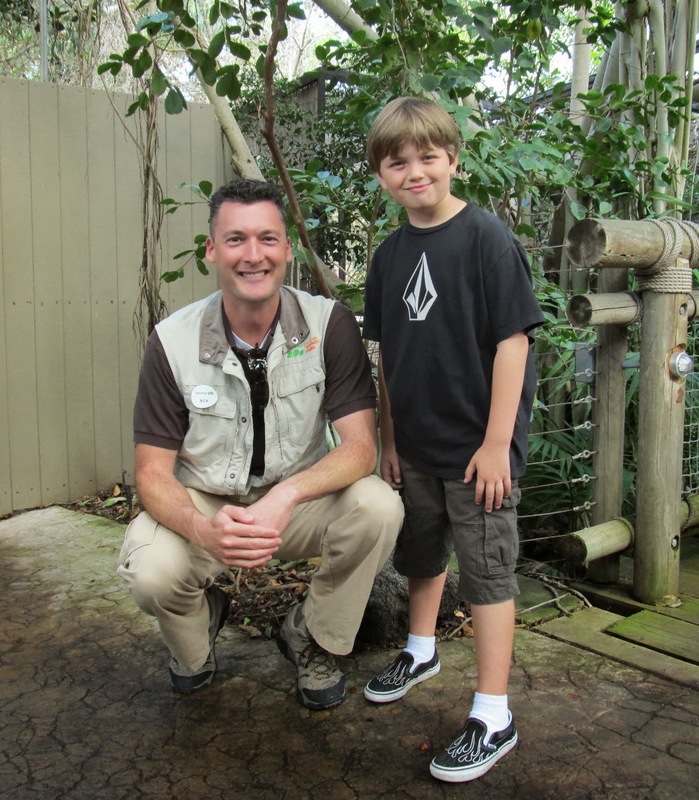 In just 11 short days he had raised $250 for David's Giraffe Conservation Project. Dylan's passion and determination to change the world continues to inspire me. 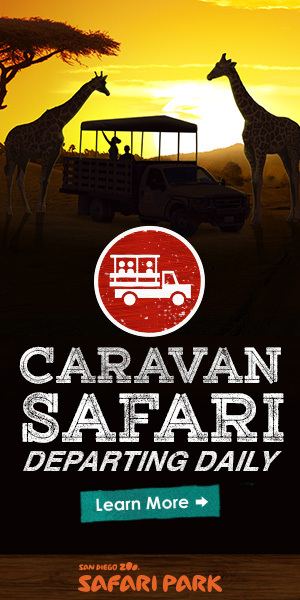 If you would like to help him raise more funds for the Giraffe Conservation Project (so that David can reach his project goal of $60,000) you can click here to make a tax-deductible donation. Giraffe badly need our help, and right now that means funding for on the ground programs in East Africa that are working to save them. In the words of David O'Connor, Giraffes are the forgotten megafauna. We still do not fully understand how they move across the landscape, how and what they eat, how many are left, their social structure, how they interact with people and livestock. As such, these giraffe are rapidly disappearing, with little notice. It is especially worrying as most of the giraffe's range is outside of protected areas, overlapping with pastoralist herders and small-scale agriculturalists. Africa wouldn't be Africa without this iconic animal ... please help us save the giraffe. All photos courtesy of David O'Connor. Wild animals don't make good pets, but that doesn't mean you can't have a tiger or a rhino as part of your family. Symbolic adoptions are a win-win for everyone. You are helping species by giving money to organizations that are doing hands on conservation work in the field. While I can't be in Africa, these people can and my support helps make it possible. You are creating memories that you can put into a scrapbook or picture frame. 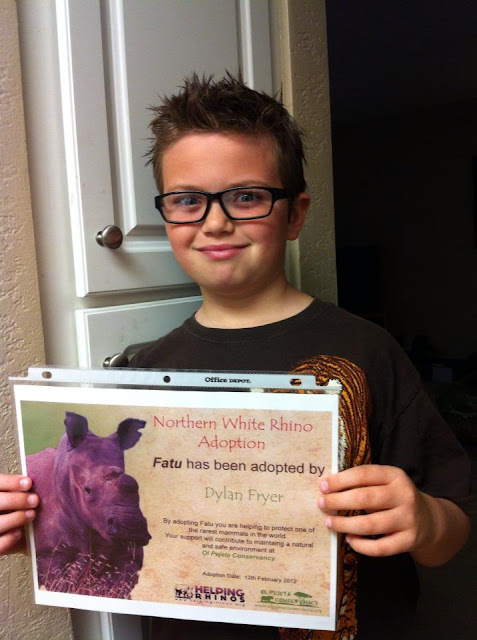 Most symbolic adoptions come with a photograph, adoption certificate, fact sheet, and often send updates on your animal. For critically endangered species, you often get quarterly updates on how the species is doing. You are inspiring others by sharing your adoption with friends and family. Telling people how easy it is to adopt and how it really helps the species will inspire others to adopt. You are giving a voice to those who cannot speak for themselves. These animals need our help. You are making a difference. This may be the most powerful reason of all to symbolically adopt an endangered species. Every adoption is one step closer to making big changes and turning those numbers around. Seeing that a species is increasing in population, because of something you may have helped do, is an amazing feeling. 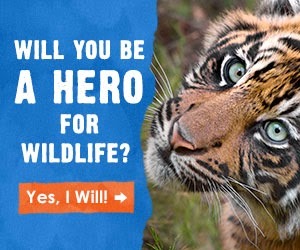 Whatever animal you choose to symbolically adopt, I guarantee there is a non-profit organization waiting to read your email. 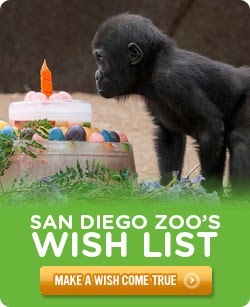 I suggest starting by contacting your local zoo/aquarium for a list of animal adoptions. If you want to help a more specific or unique species, try World Wildlife Fund or research non-profits that work with your chosen animal. To help you get started, here are a few of the organizations that I have adopted from.